Buying a home is a big decision, a huge financial responsibility and a dream come true for every man or woman. And yes, part of the American dream is to own a home. However, this is easier said than done. When you get down to the nitty-gritty of the matter, you will find that it is far harder than it seems to get the money required to buy a home. 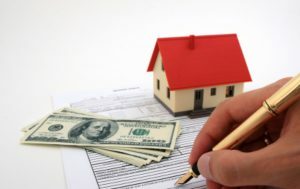 So what are some of the ways in which you can source for money to pay for your home? Keep reading. Credit card score – check, employment record – check, down payment – check… Mortgage loan is one of the easiest ways for you to get a home. However, it is not the only way but for many people, it is a good place to start. If you qualify for a mortgage, then most definitely you qualify for other sources of money too. You can do a quick prequalification check with yourself. Request for your credit report and evaluate it, making sure that everything is up to date and most importantly, looking for errors. You should then rectify the errors, check your credit score and then get your paperwork in order before you can approach the mortgage institutions. If you have good to perfect credit score, you will be approved and may even get less strict terms with your loan repayment. These are very affordable and they sure are a fast way for you to own your home. They are offered by the Federal Housing Authority and they just require you to have a down payment of 3.5 percent. In addition, they attract a low interest rate and the good thing about them is that the underwriting regulations are much less strict than those of the traditional mortgage loans. However, do note that if you have a high credit score, you will get the loan at very friendly rates. This means getting a Veteran Affairs home loan. As the name veteran suggests, these loans are a preserve of the people who have been in the military. Thus, if your spouse, or you are in the military, then this loan should save the day for you. You are not required to have a down payment but if you have saved some money, it is advisable to do so to save reduce the loan balance. This loan is backed by the federal government. 401k loans are usually sponsored by employers and you are allowed to borrow at least half of what is in your 401k account or up to $50,000, whichever is lesser. This can give you a sizeable down payment for a good home. You will have to pay back the loan with an interest rate that may be 2% above the normal rates, but it a good source of money to pay for your house. This US Department of Agriculture mortgage loan is targeted at the low income earners who live in the country. If you intend to live out of town, this is the home loan that you should apply for if you qualify. Basically, to determine whether you qualify, you can check the USDA map to know whether you can get the loan. This one is directly advanced by the USDA. If you are a first time homebuyer then you are allowed to borrow an amount of up to $10,000 from your retirement fund to fund the home down payment. This is a good source of money for you, but remember; you are still going to have to pay back the loan because that is what it is. You will not pay nay penalty for this amount and you will use it to increase your down payment for your mortgage. But you can also withdraw from a Roth IRA free of charge if you have held it for more than five years as you are considered to have paid your taxes for the same. However, note that you can only withdraw the excess of $10,000 and that you will still have to pay an interest on the withdrawn amount. Now, the good thing is that if you have a spouse and he or she has IRA, they can withdraw $10,000 and you can withdraw the same thus making a total of $20,000. The same case as explained above, if you have both been in IRA for more than 5 years, you can withdraw the excesses above $10,000 free of charge, but you will still have to pay interest rates on the amounts. Call them regular loans because that is what they are and they are backed by Fannie Mae. You will be required to put down a small down payment of 3 percent. However, they are not so straightforward as you have to meet the qualifications laid out by Fannie Mae. Yes, when you have money constrains, you may want a new home by selling the old one. Try to find a cash house buyer for your old home and sell if you get an agreeable amount. Sometimes you can source even 75% of your money needed to buy a new house from an old house.